SPOONER (River Street Dental) -- Summer is bursting onto the scene. And with it, your free time will turn to busy time as you plan, plan, plan for your relaxing summer vacation. So, while you're thinking about where you’ll go, where you'll eat, and what you'll see along the way, don't forget to plan a visit to your dentist as well. Doing so can save you from the misery of a dental emergency that will surely spoil even the best-planned getaway. Now, we're pretty sure, visiting the dentist is the last thing you want to do before a relaxing vacation. Yet we're also fairly certain that discovering a painful cavity mid-trip isn't on the agenda either – especially if you’re going overseas. Can you imagine having to look for emergency dental care in some remote part of the world? Truth is, a quick check-up can catch a future crisis before it ever materializes, and this is one of the beautiful things about dentistry. Imagine, for example, if you had a bone in your leg that was weak for one reason or another, and a strong impact upon that leg could cause it to break. Nine times out of ten, you would never even know you had this issue until your leg actually broke and you were laying in the emergency room. With dentistry, however, oral exams, x-rays and other tools allow your dentist to ferret out problems before they present themselves, and that's why visiting prior to vacation can help. So, about a month prior to departure - or at least two weeks before you go - schedule a visit. Your dentist will explore your mouth for any loose crowns or teeth that could cause a problem, and identify any cavities that are close enough to the nerve to cause an abscess or pain. If you're traveling by plane, air-pressure in the cabin can cause a recently drilled tooth to be overly sensitive, so you'll want to be certain to plan your visit at least a month ahead of time if you're flying. Of course, any surgery such as the removal of wisdom teeth, or a root canal should be scheduled in advance, and if you wear braces, you'll want to visit your orthodontist as well. Visiting your River Street Dental prior to vacation might actually be one of the easiest things to plan this summer. 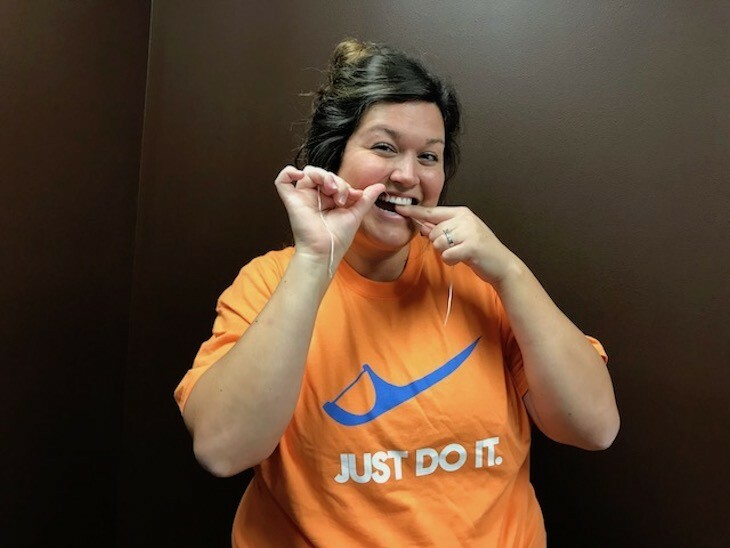 You'll depart with a fresh clean mouth and the confidence that a sneaking dental emergency won't be appearing in your vacation scrapbook this year. SEND US A VACATION PHOTO WITH YOUR SMILE AND BE ENTERED TO WIN A T-SHIRT!! Send them to Staff@RiverStreetDental.net or post on our Facebook page.